Welcome To My Trip Report on Jetstar Pacific - a Vietnamese based Low Cost Carrier! I had a few choices to fly from Bangkok to Ho Chi Minh City. 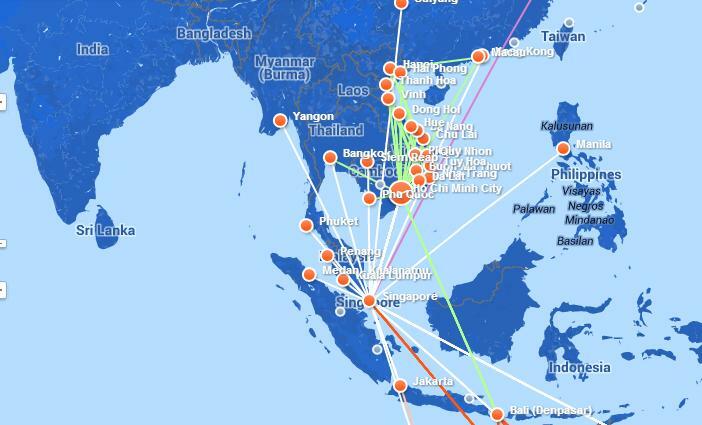 Flying out of BKK gets the priority and a few airlines came into mind: Jetstar Pacific, Jet Airways, Turkish Airlines, Thai Airways, Bangkok Airways and a few others. Jet Airways was an option but I didn't know until recently. I would have picked it and flew this airline instead from Ho Chi Minh City to Singapore if I had known. 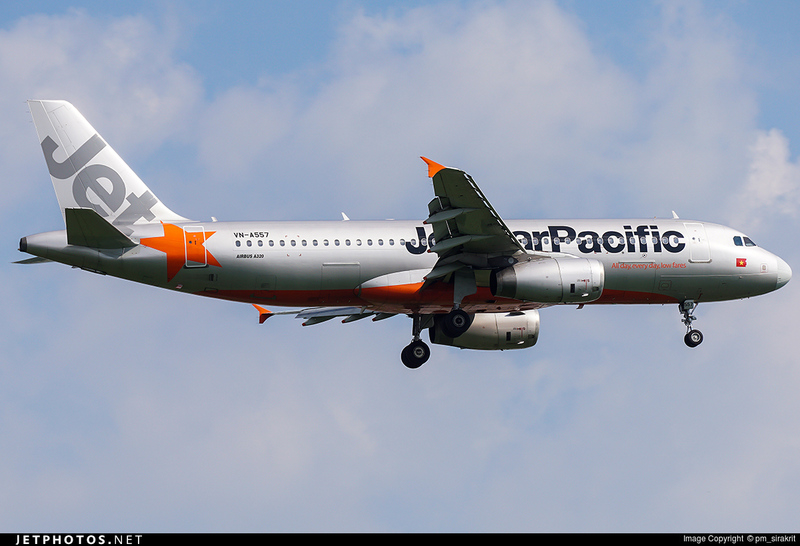 Back then, looking at the other options, Jetstar Pacific was my first choice. 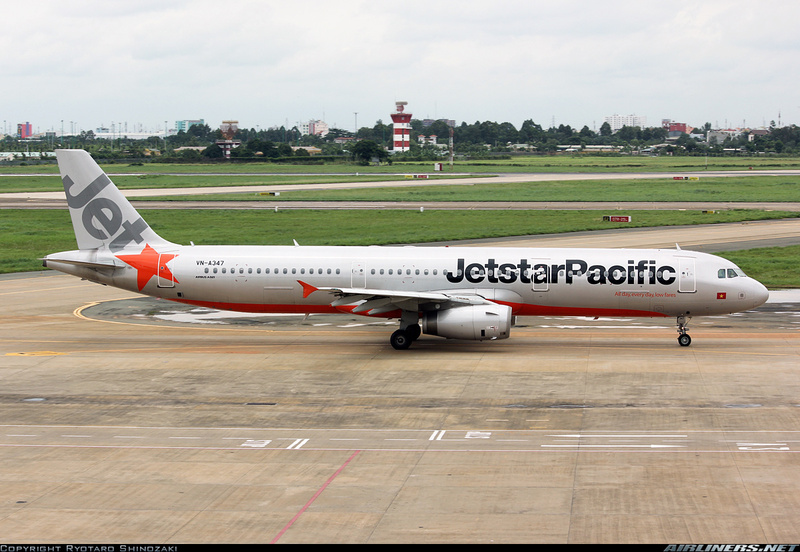 Jetstar Pacific is formerly known as Pacific Airlines, set up in 1991. 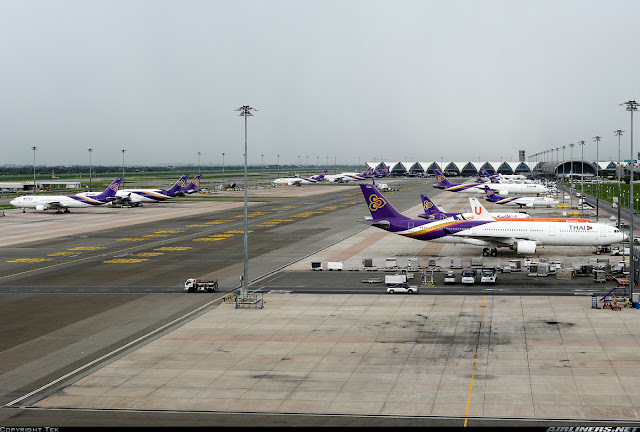 This airline first started out by operating cargo airlines and is based in Ho Chi Minh City. From 1996 to 2005, this airline, along with other local companies was operated under Vietnam Airlines. The government which owned Vietnam Airlines, sold some shares to Qantas and the airline adopted the Low Cost operation model and the name was changed to Jetstar Pacific in 2008, becoming part of Jetstar network. In 2012, Vietnam Airlines bought 100% stake in this carrier and compliment with its own airline's network. 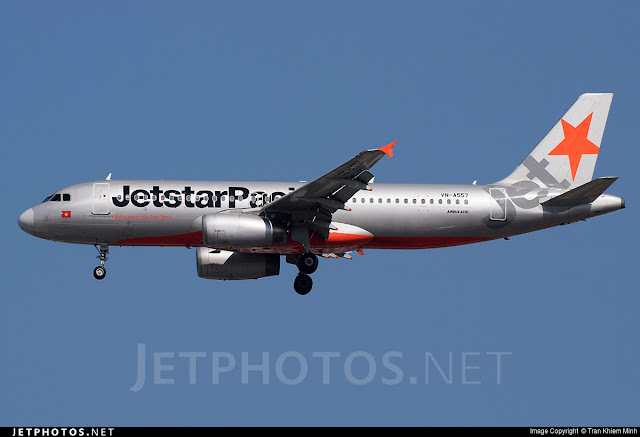 However, the airline is still part of Jetstar network and continues to retain its current branding. 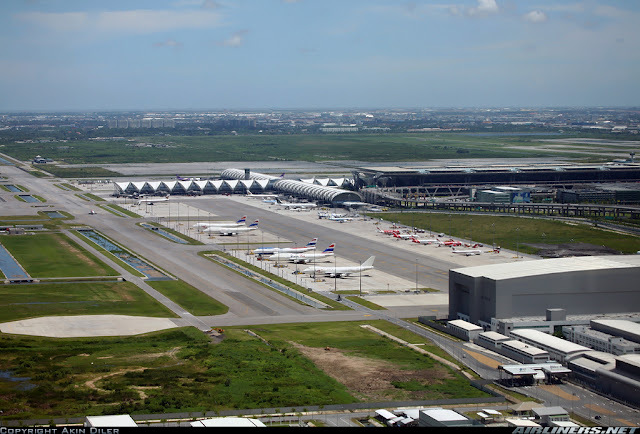 Suvarnabhumi Airport is one of the 2 international airports in Bangkok officially opened on 15 September 2006 with limited domestic flights in operation and it is fully opened to most domestic and international flights on the 26 September 2006. 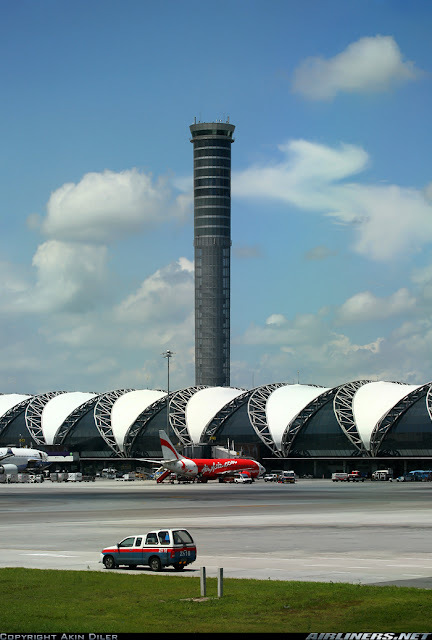 This airport was built to replace Don Mueang Airport as this airport had limited space and was not in consideration for expansion and terminal upgrade to continue operation. However it will continue to operate for Low Cost Carriers and small airlines. The IATA code BKK was transferred from Don Mueang to Suvarnabhumi Airport and Don Mueang's IATA code was changed to DMK. The word 'Suvarnabhumi' was chosen by King Bhumiboi Adulyadej. 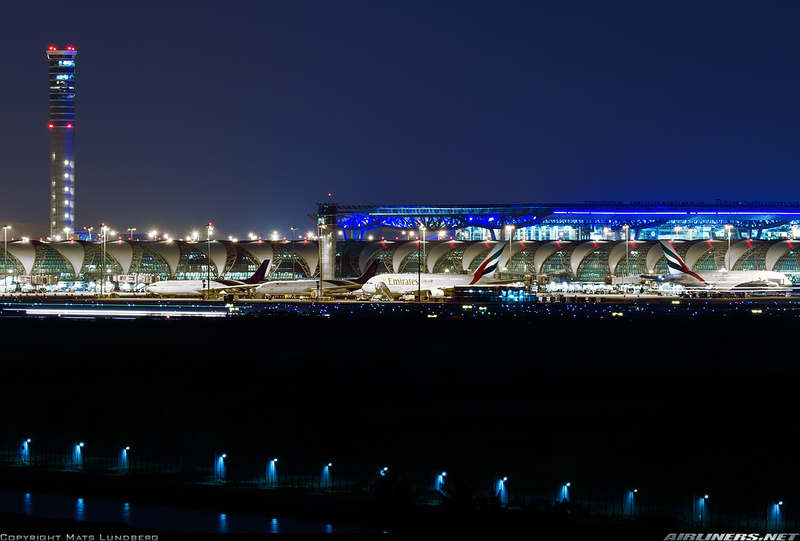 Currently this airport is the 10th busiest airport in the world and operates with 2 runways, 01L/19R and 01R/19L. 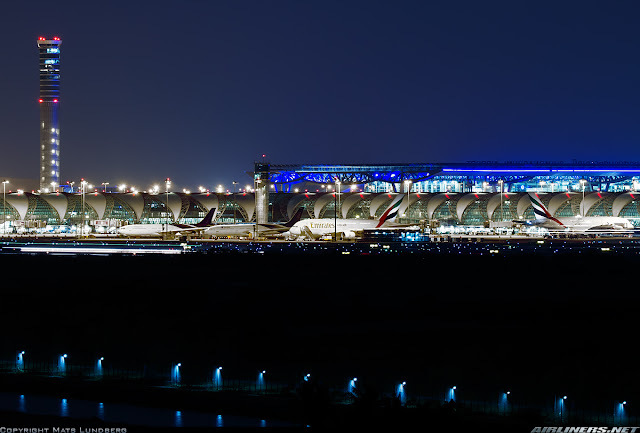 My opinion of this airport: The airport has only one terminal building. However, its quite huge. Walking from one end to the other takes quite a while, so its better to come early to pass through the immigration and security checks. If you have time, you can spend some time shopping or grab some food at the cafe. The prices are slightly overpriced but that's expected. Plane spotting for aviation enthusiasts is a disappointment as the glass window is not suitable for photography and no outdoor observation deck. To plane spot, outdoor photography is the only option. I am pleased that the airport has made the effort to introduce free WiFi though its troublesome to log in. A train station connects the airport to the city and that's quite important for travellers. Overall I am not a fan of this airport, but it is certainly my preferred airport over DMK (Don Mueang). I stayed at the Phoenix hotel which is near the BKK airport and I did some plane spotting before I left. The entrance to the Phoenix Hotel - there is free shuttle to the airport every hour. Once I was done, I rested for a while and took the shuttle at noon to the airport. My flight departure was at 3.30 pm so plenty of time to explore the airport and grab a bite. The ride to the airport took around 10 minutes. After thanking the driver, I made my way to the check-in counter. This row includes both Jetstar Pacific and Jetstar Asia's flights. I was 10 minutes early so I went around snapping some photos before returning. Once it was time, I made my way back to the check-in counter and it was opened. I was asked to produce my trip itinerary from Ho Chi Minh City to Singapore, and only after checking my itinerary, she continued to proceed with my check-in. Got my boarding pass not long after. Its interesting to see that this airline also code shares with Qantas. Once I was done, I made my way to the air side. It took around 35 minutes to get through both security check and immigration. Once that was done, I decided to grab a bite at one of the restaurants. Prices are overpriced but that's typical common at airports around the world. I went into one of the restaurants and the staff obviously saw me but after sitting for a while and getting no attention from any of them. I stood up and left, whether they had any reaction, I don't know but I glad I did because I found another restaurant that was willing to earn my money. Got myself a glass of banana smoothie and Sweet and Sour Fish Rice. It was average. Did a quick check on flightradar24, VN-A555 was supposed to take me to Ho Chi Minh City. However, VN-A557 was on its way instead. I guess the airline did an aircraft change since it departed late. The walk to the gate may be time consuming, so always check the departure time and plan ahead in order to avoid missing the flight. Checking my flight, our flight was delayed due to the late arrival of the aircraft. Our original aircraft VN-A555 had probably broke down and a change of aircraft was done which resulted to a delay. Lots of duty free shops to check around. Its difficult to avoid them with this layout. Boarding started late and those sitting at the rear was told to board the aircraft first but since there wasn't anyone checking the passengers tickets, most of us made our way through the glass door towards the aero-bridge. However, everything was in order so there wasn't any problem. Greeted by the Vietnamese crew, with one of them looking elsewhere. What was he looking at, I had no idea. Once the passengers in front of me started moving, I made my way to my seat. Not a good first impression from the crew. The interior looks different from Jetstar Asia, here are the photos. This is my seat. Fortunately the ride was less than 2 hours. I was hoping for the middle seat to remain vacant, but it was not meant to be when a couple of guys turned up. The passenger in front of me reclined his seat and that made me slightly uncomfortable . For a short flight like this, I don't see a need to pay more for legroom space. Boarding the aircraft was a fast affair as most passengers want to get there on time. With the flight delay, we missed our take off slot and our Australian Captain was apologetic about it, he gave us detailed information on our flight path and weather on route. He also came on the speaker before descending to give us some update on the weather in Ho Chi Minh City. As for the cabin crew, they didn't seem interested in their job. They looked tired but at least they did the mandatory checks and the in-flight service (BOB and duty free service). Aircraft was pushed back and we taxied to runway 19L for departure. As the traffic was light, we departed not too long after reaching the threshold. We were 3rd in line for departure and took off smoothly and headed towards the destination of Ho Chi Minh City. It was a smooth flight, hardly any bumps along the way. Cabin crew came about to do the meal and duty-free service. I decided to skip the meal since I was still feeling full. I wasn't too pleased with the lack of legroom space, not to mention the person in front of me reclining his seat during the flight. Fortunately, it was still bearable. Flight went passed fast and before I knew it, we started our descend and touched down around 20 minutes late. Passing by Lufthansa's Boeing 747-400 - an aircraft type getting lesser these days. Xiamen Air's Boeing 737-800, and this reminds me of my flight experience. At the threshold waiting for another aircraft to take off before our turn came. Enjoying the view of Bangkok, unfortunately the sun was against my side for the first part of the flight. The flight went past quickly and soon we on our descend. Weather on route to Ho Chi Minh City was expected to be smooth except on approach according to the First Officer. However, the approach was smooth and we soon landed at SGN airport. My first sight of Vietnam Airlines Boeing 787-9 Dreamliner! Finally, we stopped at a remote parking lot and we took the airport bus to the terminal. Thanks for the ride, VN-A557! Vietnam Airlines Boeing 777-200ER, VN-A142 is the registration number. The domestic terminal, and you can check out my experience on this trip report. Look at the number of bikes! First impression of this airline wasn't good. This set of cabin crew is probably one of the poorest set of crew among my Low Cost Carrier flights so far. They didn't seem happy at all and a few of them seemed to be wishing they were somewhere else. At least they were not rude and managed to complete their tasks. Cabin service is all depend on your luck. One set of bad crew doesn't mean the airline is bad, you have to fly with the airline more often to have an idea how the in-flight service is like. The flight crew on the other hand was efficient, he kept us well updated and it was nice to hear a cheerful Captain on the speaker. Overall, I had an average experience but would fly again with this airline in the near future.